While trade shows are a great opportunity to meet other professionals in your field, it can be daunting to think of a great way leave an impression after show-goers leave your booth. Each brand wants to capture their essence and give something memorable. Still, whether you’re doing some last minute planning for OTC, or starting to think of ideas for next year’s trade shows, we have a few solid options that will actually be useful to your booth’s visitors. The best free things are the one’s that we use often – isn’t utility a quality you’d like to be associated with your business? These are always a great option – and the eco-friendly varieties available eliminate some of the waste often associated with freebies. It’s always impossible to find your nice pair of sunglasses when you actually need them. A pair of sunnies are both economical, relevant and convenient (as no one minds keeping a spare pair of these in their car). Stick pens are great, but no one is going to go out of their way to keep it around. Want to increase positive feelings about your brand AND generate brand recognition? 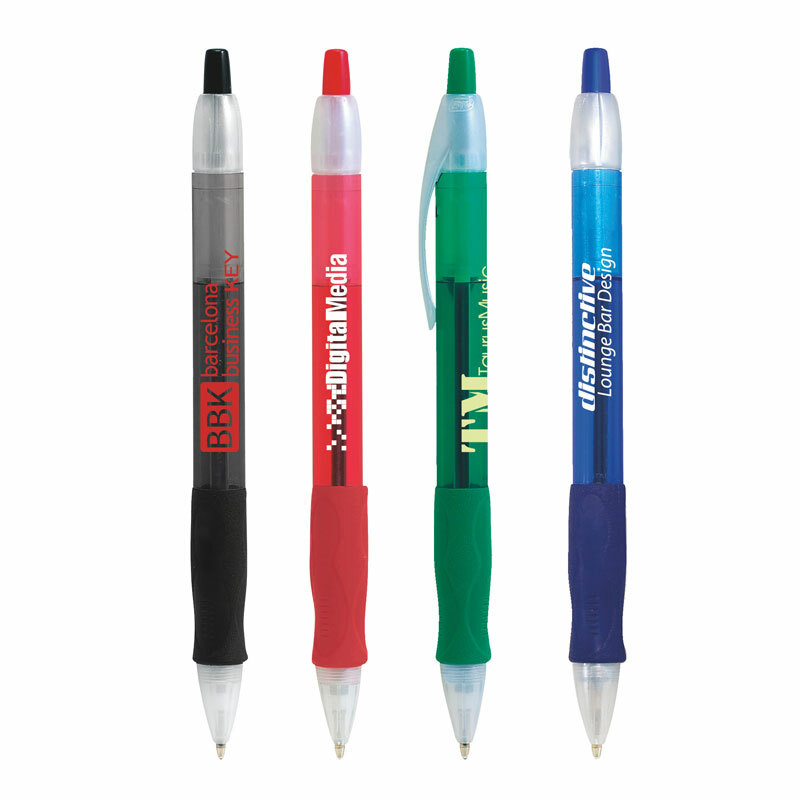 Give out pens with a nice grip, in an industry-appropriate color, because we always appreciate a trusty pen. Networking and coffee are not the best mix. Assist networkers by handing out mint tins that they can keep in their pocket or purse. They’ll appreciate the helping hand. It’s not too late to get products in time for OTC, so contact us if you need price quotes and assistance! Please don’t forget to like us on Facebook, follow us on Twitter and follow us on LinkedIn for more updates on our business and ideas.